Descend into Sapporo Underground Pedestrian Space, a subterranean walkway lined with shops, cafes, and restaurants. Especially convenient in inclement weather, the underground mall connects two subway stations and offers direct access to several shopping centers. Wander the web of passageways and browse a large variety of stores, escape the rain or blazing sunshine, and sample local snacks or drinks from one of the many eateries available there. Add Sapporo Underground Pedestrian Space to your Sapporo travel itinerary, and discover new vacation ideas by using our Sapporo journey planner. A lot of snow is very useful in following Sapporo underground passages. Sapporo station is connected up to the Susukino. It's also not a bored Middle-medium shops. Every day, we help thousands of travelers plan great vacations. 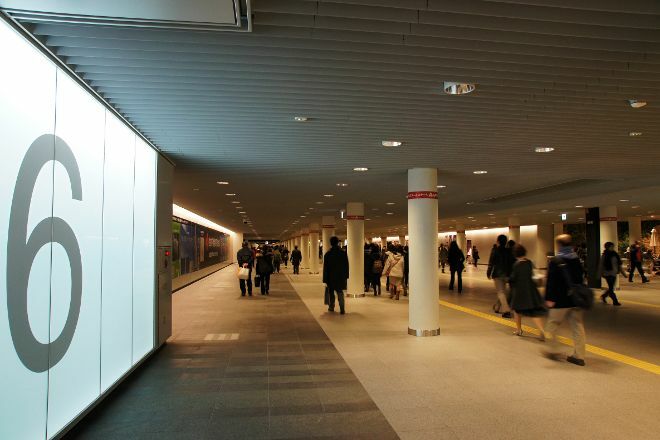 Here are some tips on how to use your Listing Page to attract more travelers to your business - Sapporo Underground Pedestrian Space. Promote your permanent link - https://www.inspirock.com/japan/chuo-hokkaido/sapporo-underground-pedestrian-space-a479459939 - on your website, your blog, and social media. When a traveler builds a plan from this page, the itinerary automatically includes Sapporo Underground Pedestrian Space. This is a great way for travelers looking for a great vacation in your city or country to also experience Sapporo Underground Pedestrian Space. Promoting your link also lets your audience know that you are featured on a rapidly growing travel site. In addition, the more this page is used, the more we will promote Sapporo Underground Pedestrian Space to other Inspirock users. For best results, use the customized Trip Planning Widget for Sapporo Underground Pedestrian Space on your website. It has all the advantages mentioned above, plus users to your site can conveniently access it directly on your site. Visitors to your site will appreciate you offering them help with planning their vacation. Setting this up takes just a few minutes - Click here for instructions.